Sorry there is not a desk photo this week. Had such a busy week, I haven't had time to go in to my craft room - let alone actually make anything lol. However I did find time to do a quick digi-scrap page. so here is a photo of that, instead of my desk! Thank you for all of the comments left last week. Much appreciated and the photo advice is great. The quote is from a new kit called 'Grace' by Laurie Anne & Sara Gleason. 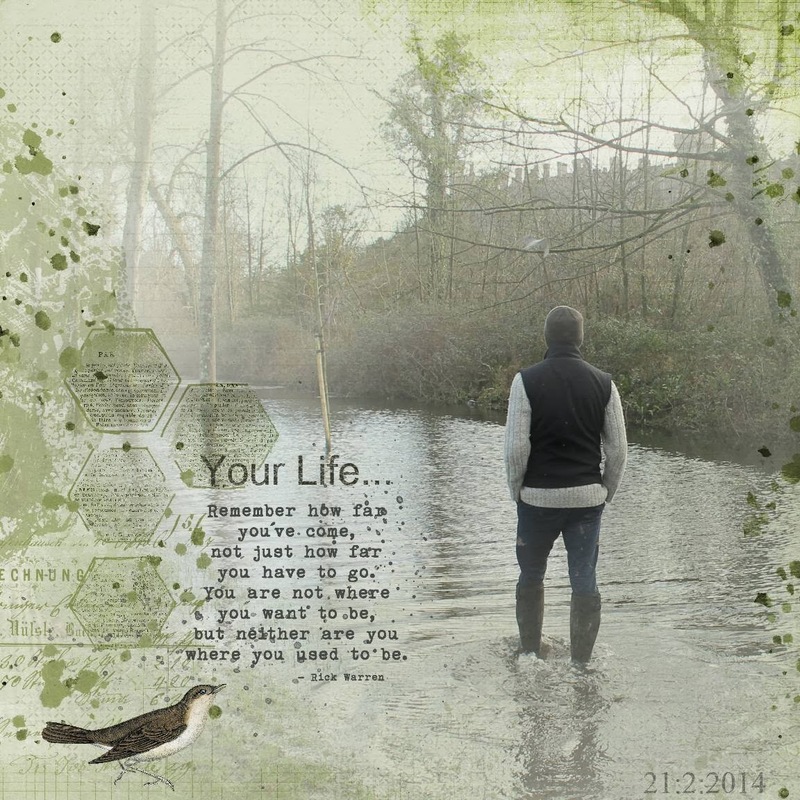 It's a beautiful grungy kit with lots of stamps and overlays - great for blending. Anyway, it was perfect for this photo of my son, Matt. He is walking through flood water at arundel and looking deep in thought. The quote is so true to where he is in his life right now.